An important part of training for Schema Therapists is self-therapy to understand one’s own schemas and modes, the role they play in being a schema therapist and the impact of patients’ in triggering schemas and modes. Such self-awareness is critical to the genuine, open presence required by Schema Therapy’s limited reparenting model. We think this is particularly important for therapists conducting group ST, as the impact of a number of clients at the same time can amplify therapists’ reactions and just being in a group can have triggering effects related to one’s family of origin. Self-schema therapy has personal benefits as well in terms of self-awareness and healing for one’s Vulnerable Child mode. 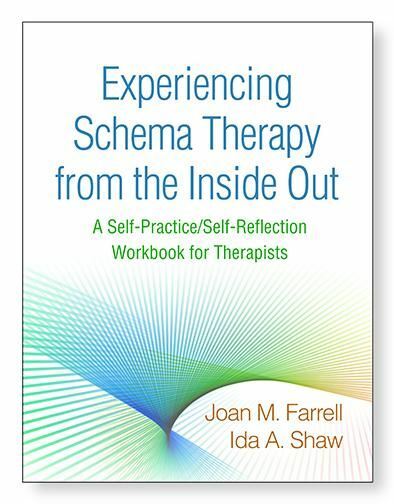 Joan & Ida spent two years as members of a self-therapy for therapists in their training and consider that experience critical to their understanding of themselves, their reactions when participating in a group and what clients experience. Participation in the workshop will add new interventions to use with clients and the deeper experience of ST from the “inside – out”. They believe that what one learns from this experience cannot be taught as effectively didactically, if at all. For that reason self-therapy in a group is a requirement for ISST Group Schema Therapy certification and this workshop fulfills that requirement. It can also be used to meet the three supervision hours credit allowed to meet individual ST certification supervision requirements. This workshop is appropriate for therapists new to ST and for those who are experienced with it.